She-N-He Photography - 4.16.10 Samantha's Bachelorette. Samantha is one of our most recent brides. 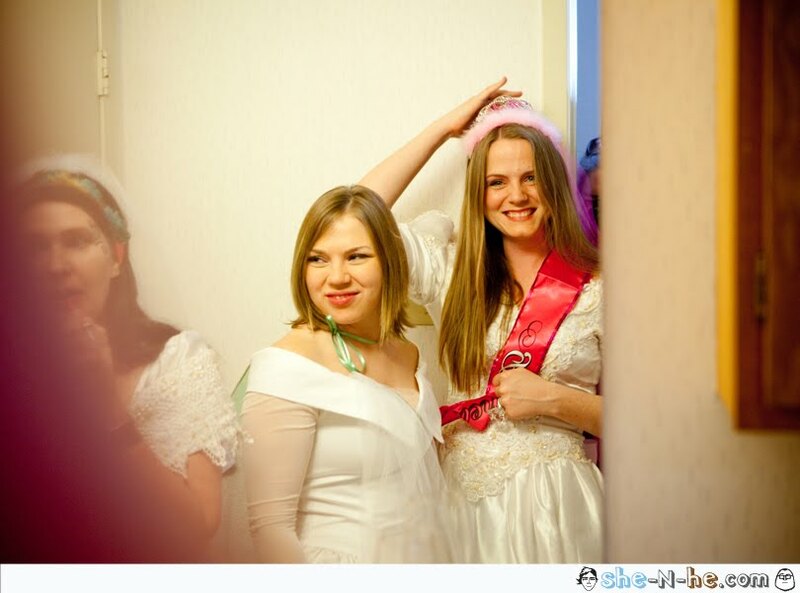 She's a non-traditionalist as you can plainly see. 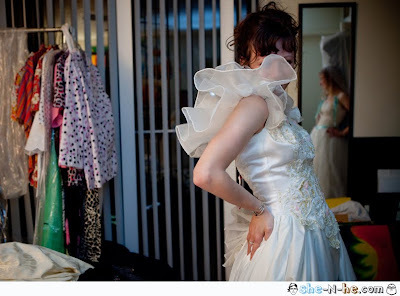 She found a big batch of heinous wedding dresses online for < $. 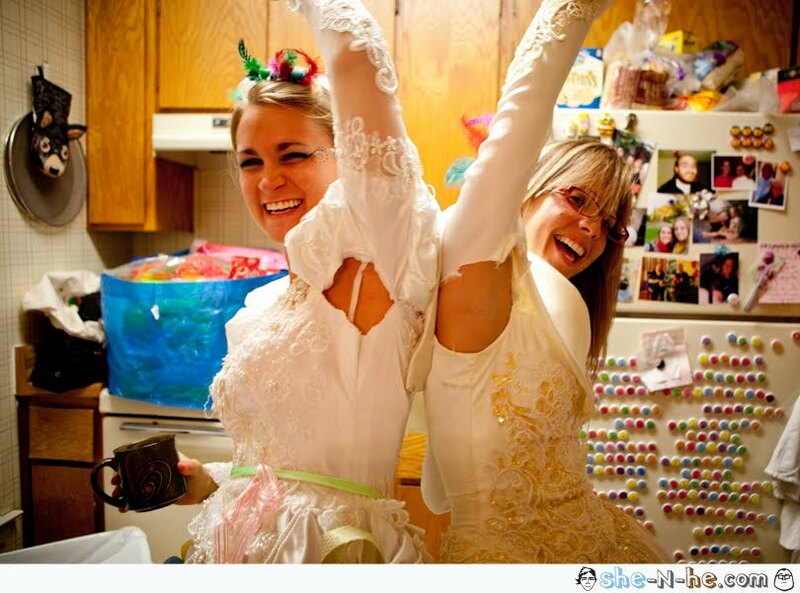 So she got her mom, MIL, friends and bridesmaids together to have a "Let's re-imagine these ugly dresses party!" 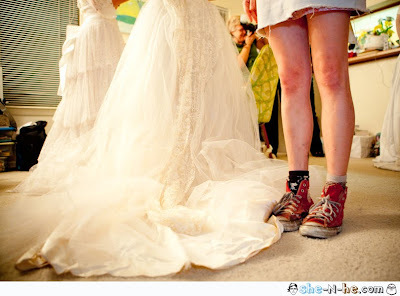 Everyone was really into, they tried-on, shredded, sewed, hot-glued and drew on the dresses. In the end the dresses, while retaining just a glimmer of their 1980's glory days, were wearable again. kind-of. After that the brave woman were dropped off on 6th street on a Saturday night wearing their creations. Sadly I missed that part. Thank you for looking, please enjoy.